A resort town of many natural sights, Varadero is a far cry from the hustle and bustle of the more populous cities, favouring swaying palms, pristine sands and ebbing waves over historical structures and towering buildings. 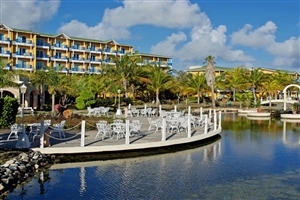 Here is just a selection of our favourite and cheapest hotels in Varadero. Please use our search panel above to find your perfect choice. 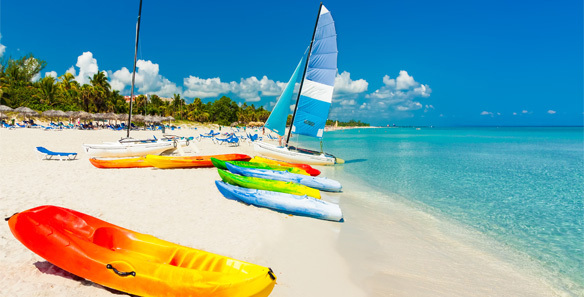 Situated alongside the soft sands of one of Varadero’s most spectacular beaches, the Memories Varadero Beach Resort welcomes all to enjoy the unforgettable sights and sounds of Cuba on what can be a romantic sojourn, a family adventure or a business trip like no other. Designed with a mixture of ... Caribbean overtones that blend with traditional colonial architecture throughout, the resort is just one of the many visual delights guests can expect, with flashes of emerald hues leading out to the whites and blues of the beachfront greeting visitors each and every day. Whether you choose to spend time exploring the landscape or making the most of the many in-house facilities, dining venues and lavish accommodations, a rejuvenating experience is all but assured at this island paradise. 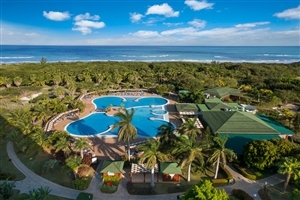 Varadero is one of the top destinations for anyone visiting Cuba, and the Barcelo Solymar sits in a prime location within the city – being situated just a stones thrown from the golden sands of Playa Azul beach but within close proximity of the city centre. A range of comfortable ... accommodation spread across the main hotel building and the adjacent bungalow provides a comfortable and stylish base from which to explore, with a varied range of cuisine available in the different restaurants and access to the all the facilities you could need whilst away from home. 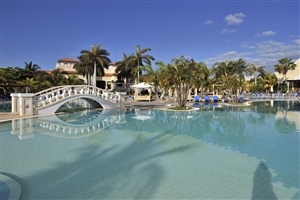 The Iberostar Tainos is a four star all inclusive hotel located in a prime location in the resort of Varadero on Cuba’s north coast. 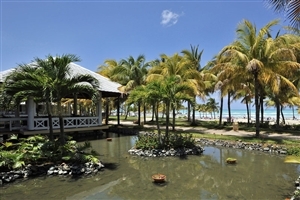 The spectacular Varadero Beach is situated right on the door step of the hotel providing easy access to the white sand and turquoise waters for those ... who want to enjoy the sun, whilst the impressive pool and tropical gardens help to enhance the levels of enjoyment for couples and families alike. Impressive facilities, comfortable and stylish accommodation and top class cuisine await, with friendly staff on hand to ensure a top class Cuban experience. 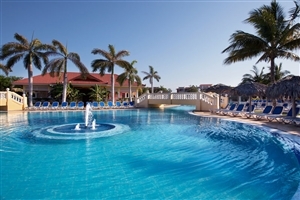 Situated in the resort of Varadero, the Melia Las Antillas is a four-star, all-inclusive hotel that caters for adults only in a prime location near the main beach. Stylish and spacious accommodation can be found throughout the hotel, with rooms benefitting from views out to sea, or across the impressively ... landscaped gardens. Alongside a wide selection of facilities, the hotel also benefits from a varied choice of dining options that provide first rate a la carte from around the world. If you want to enjoy five star luxury during your time in Cuba, then the Melia Varadero is a hotel that will tick all the boxes. Located close to the white sandy beaches of Varadero, the all-inclusive hotel features a range of stylishly designed rooms and suite that are perfect ... for couples seeking a romantic break, and families eager to enjoy their time at one of the top resorts in the Caribbean. 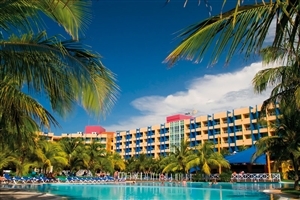 The Blau Varadero is an all inclusive four star hotel that provides the perfect base for those wanting to enjoy a Caribbean break on Cuban soil. 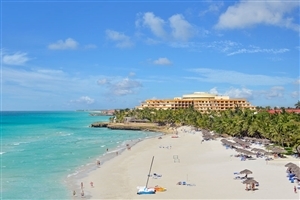 Located in a prime location in the northern resort of Varadero, the hotel features a range of comfortable accommodation options and a wide selection ... of facilities – many of which feature as part of the all inclusive package. 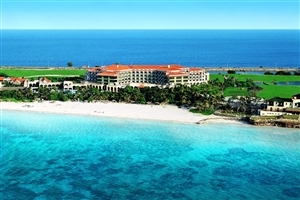 Settled directly upon the warm, white sands of Varadero Beach, the Melia Las Americas is a serene escape that exudes a refined and elegant ambiance that more than suits the surrounding area with its resort style comforts and attentive level of service seamlessly blending with the azure waters and emerald ... foliage that makes the area such a hotspot for travellers the world over seeking to discover the best aspects of Cuba. Living up to the tropical standards of the Caribbean in every way, the adults-only resort is perfect for romantic couples and business travellers alike, offering plenty of soothing and recreational in-house facilities and a world to discover all around the vicinity, with private golf courses and popular beaches just the tip of this luxurious iceberg. 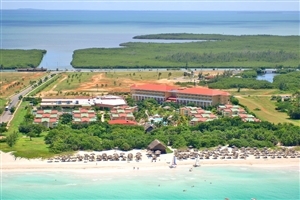 The Paradisus Princesa del Mar is one of the premier hotels in Varadero and sits in a prime location close to the stunning and scenic beach – which is regarded as one of Cuba’s best. Refinement and luxury is assured at the five star, all inclusive resort, which caters for ... the adult only market, with a range of stylish suite accommodation, impressive dining options and a multitude of facilities available for use. Located in the stunning ecological reserve of Varadero, the Paradisus Varadero Resort and Spa is one of Cuba’s most outstanding getaways, surrounded by acres upon acres of tropical foliage and boasting an amazing vantage point where visitors can gaze out over the cerulean waters of the Caribbean Sea that stretches ... out to the horizon. Striving to provide nothing short of sheer excellence for each of its guests, the resort paints the perfect picture of a Cuban paradise with its modern designs, spacious settings and attentive level of service coming together with the splendid surroundings to bring the best of both natural and man-made worlds to the fore, so no matter which you prefer you’ll be sure to enjoy every minute in this holiday haven.